The businesspeople of Texas and Georgia trust Hardman Signs for efficiently-fabricated, high-quality digital signage. We offer customizable service and the assistance of a trained, full-time staff to guarantee that the digital signs that your business needs are manufactured efficiently, within your budget and according to your schedule. Please read on to learn more about our digital display signage design and fabrication capabilities. 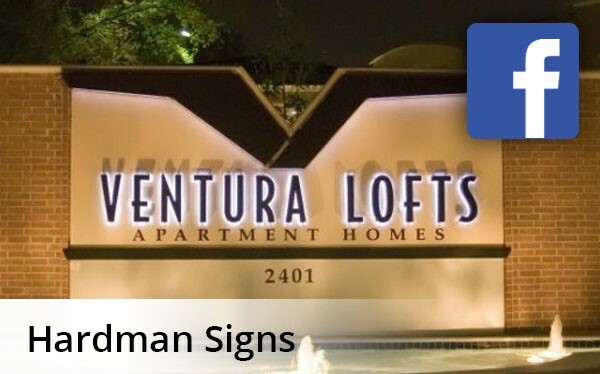 Our logo creation and sign delivery company will meet with you to understand your specifications and will fabricate the design that meets your requirements in one of Hardman Signs facilities. When the design has been manufactured, we will deliver, install and maintain it on your premises. Our trained staff makes the entire process simple and stress-free. As a top Southern digital signage company since 1987, Hardman Signs is the Houston digital signage, Austin digital signs and Atlanta digital signage company of choice. To learn more about our digital signs fabrication services, fill out our no-obligation quote form or call us with your digital display signage requirements today.